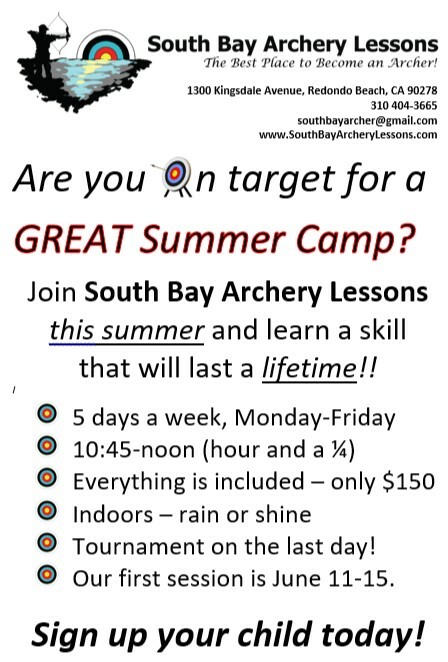 The Summer Camp Program will be taught by Paul Farbman who is a USA Archery (USAA) Certified Level 3-NTS Coach. All equipment (bow, arrow and safety) is included in the $150 rate for the 5 day session. We have several different program sessions to select from, with each of the week long sessions beginning on a Monday and concluding on the Friday of that same week. Registration and payment are required prior to the starting date of the session you wish to enroll your child in. The program is specifically designed for first time students who may have been interested in trying archery and is focused on introducing these new students to the basics of archery so that they learn correct processes while having FUN! On the concluding Friday of each week long session, there is an in-house tournament for the students. 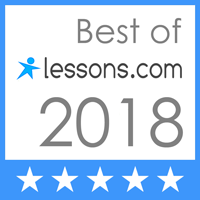 Those who wish to continue learning more about archery after the end of the program will have the opportunity to learn more about some of our other more advanced programs offered that focus on further refining the archery student’s basic skills learned during the camp program. Day 1 outlines ALL Safety Requirements (required by the range’s insurance), Range Protocols and Steps of Shooting that are used during the week.